PARIS: The Lebanese community in Paris commemorated Tuesday the 125th birthday of Gibran Khalil Gibran with a contemporary variety show that reinvigorated patriotic sentiments in the wake of Independence Day celebrations. Attracting nearly 1,400 participants, the event offered an opportunity for Lebanese of every political, religious, and professional affiliation to celebrate a national poetic legend who makes up part of the rich cultural heritage they share. Joumana Khaddage, deputy permanent delegate of Lebanon to the United Nations Educational, Scientific and Cultural Organization (UNESCO), set the tone for the evening with her heartfelt introduction to the show. The show hosted by permanent delegate of Lebanon to UNESCO Sylvie Fadlallah, and organized by the World Lebanese Cultural Union, paid homage to the author by interpreting his works through contemporary music and dance. All proceeds of the event will be donated to the construction of a new hospital in Ain-Ebel in South Lebanon. Throughout the show Gibran’s words were seamlessly woven into a vibrant display of color, light, costume and music, drawing the audience into a dream-like sequence of nostalgic reflections on the poet’s life and work. The contemporary flavor was also accentuated by a blend of Eastern and Western styles, recalling the extensive amount of time Gibran spent outside Lebanon during his life. 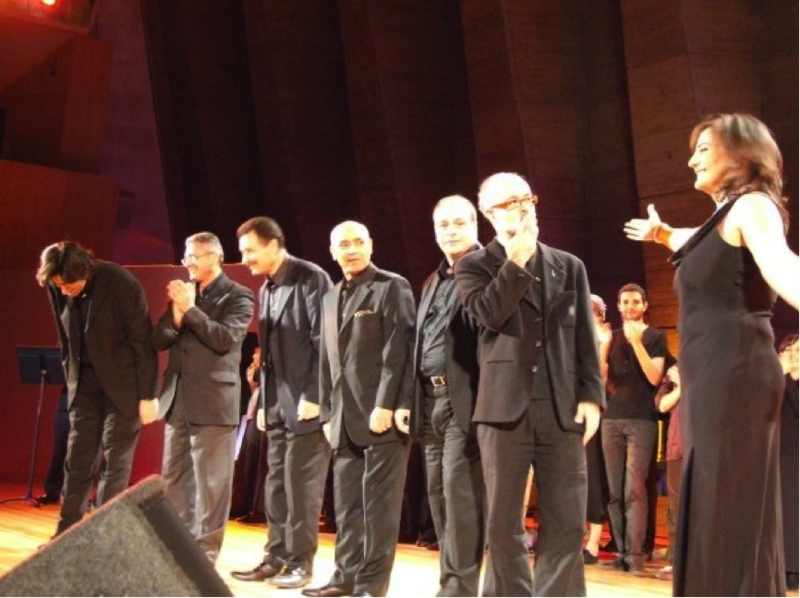 Headliner Patricia Atallah, who grew up in France but never forgot her Lebanese origins, said her singing style « is inspired by both Oriental and Western techniques, » which she mixed effortlessly in a performance that had audience members clapping, singing and dancing in their seats. « At one point in the song ‘Nachid El Hob’ [composed by Joseph Khalife], I used an opera technique I learned here [in France] that is not used in Oriental music, but it blended naturally into the piece » she added.